Every kid I know loves chicken nuggets, including my own. As a young mom chicken nuggets had always been the easy lunch. 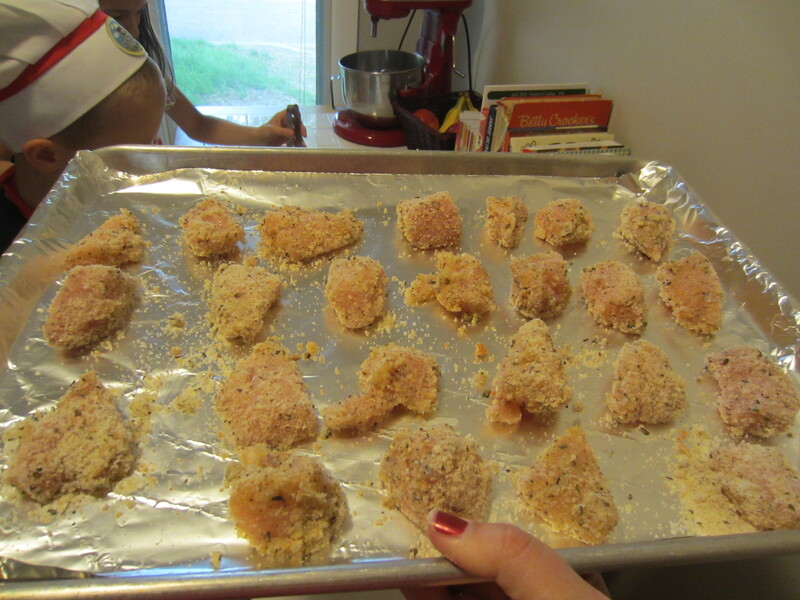 I would buy the dino nuggets from the freezer section, stick them in the oven for 10 minutes, and voila! There’s your lunch. 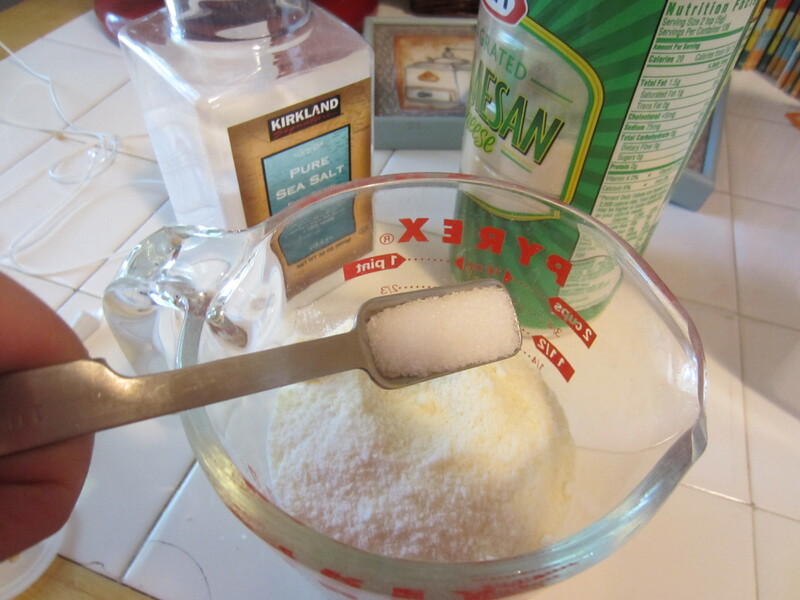 Then I started thinking more about what ingredients are really going into our bodies and decided to try making more things from scratch. 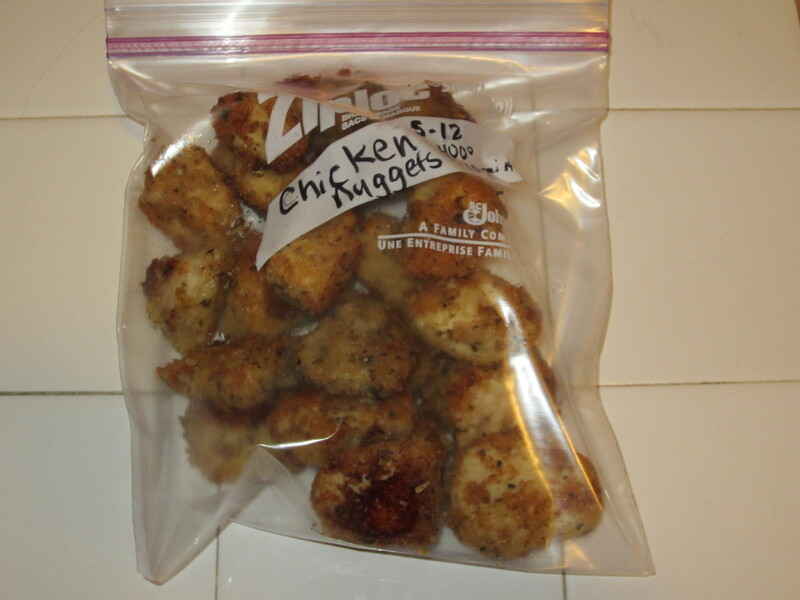 I found this recipe on allrecipes.com and since then, these have been the only chicken nuggets in our house. 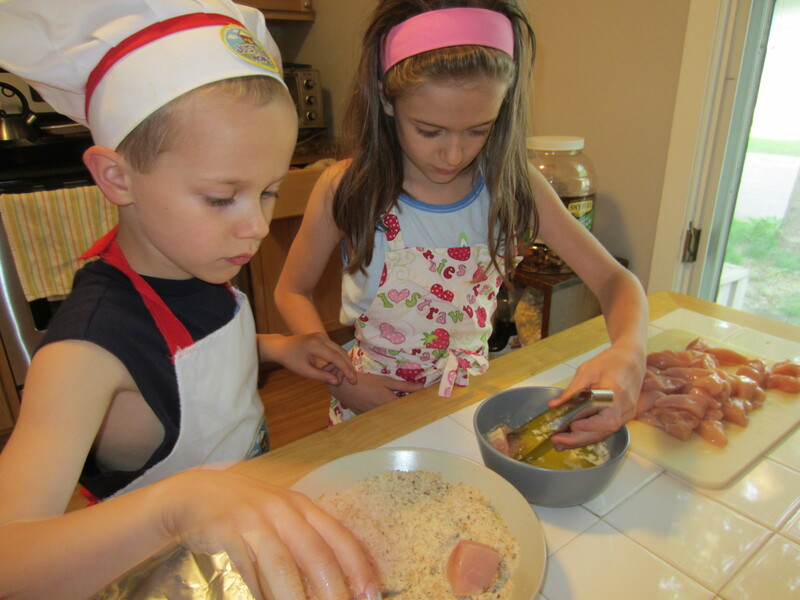 The whole family love these chicken nuggets and the kids really enjoy making them with me. First of all I save my homemade bread ends, that don’t get eaten, and freeze them. 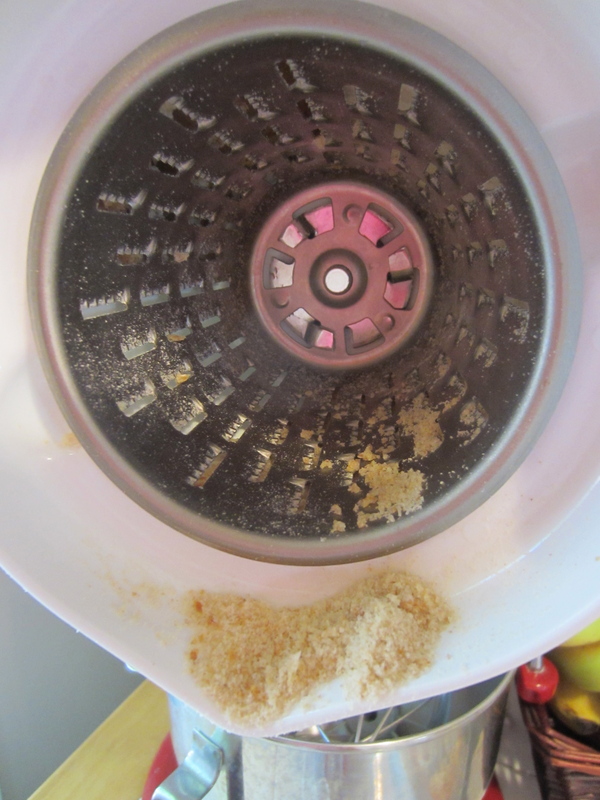 Then when I need bread crumbs, I just use my Kitchen Aid shredder attachment and make them fresh, preservative free. 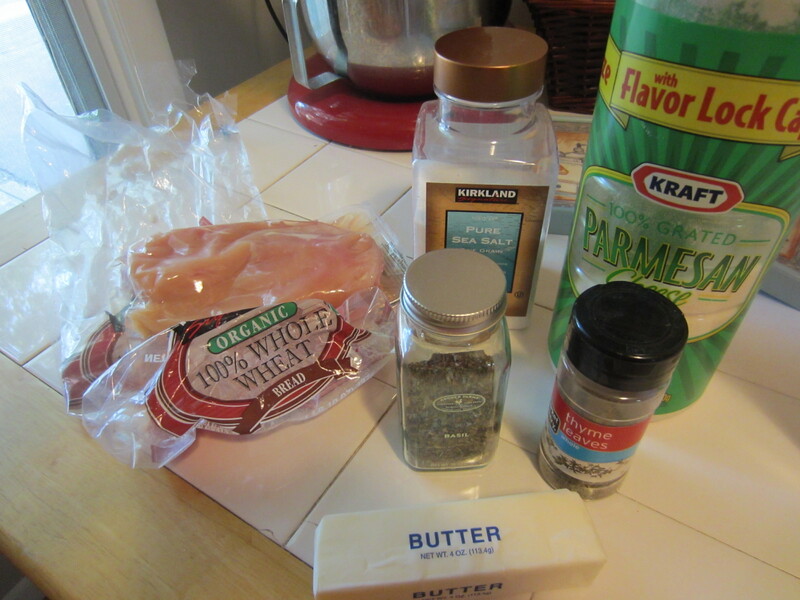 Then I start my butter melting in the toaster oven, while I get the rest of the ingredients together. 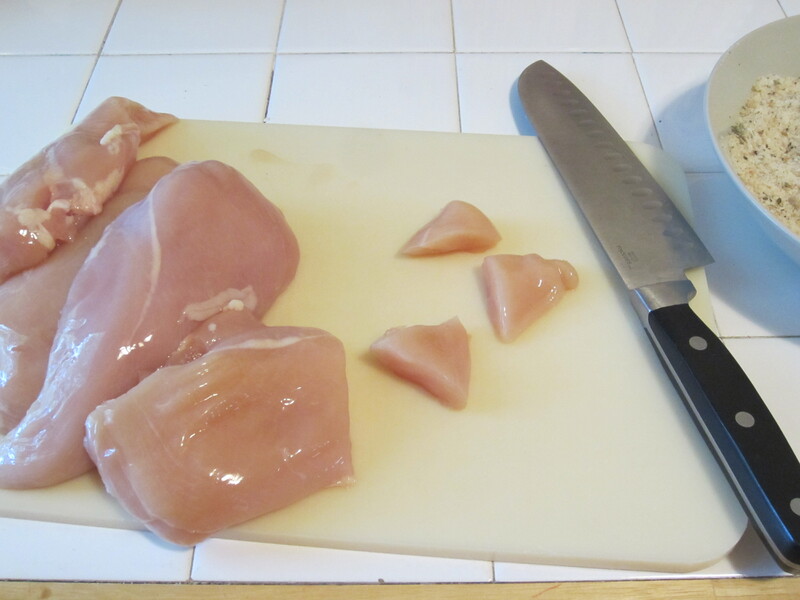 Get your chicken out and chop into 1-2 inch sized pieces. 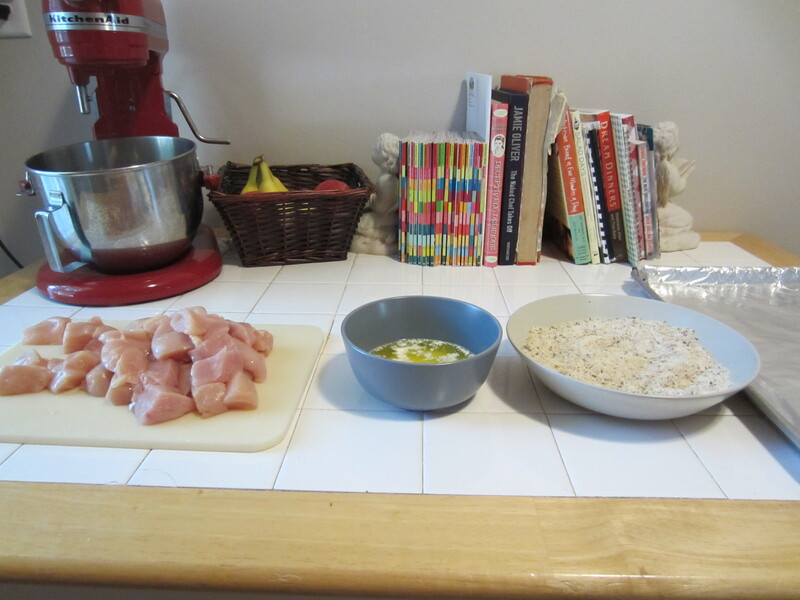 and you can start your chef assembly line for dipping the chicken. 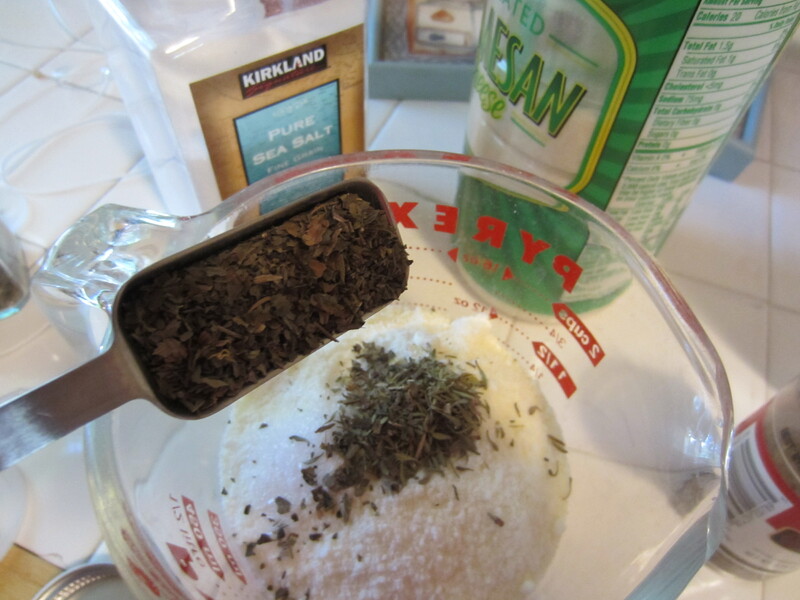 First dip it into the butter, then the crumbs, place on your cookie sheet, and bake. 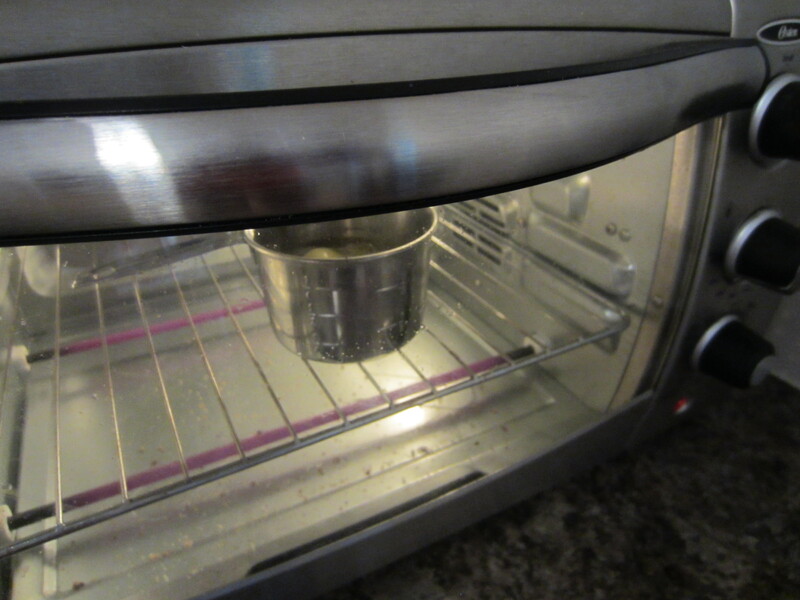 I always like to line my cookie sheet with foil, because the clean up is easier. 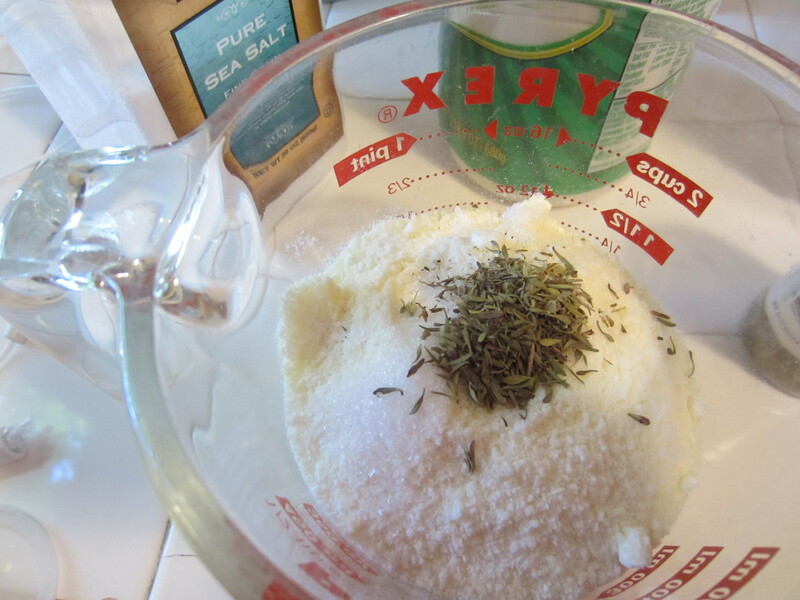 Mix bread crumbs, parmesan, basil, thyme, and salt in a bowl. 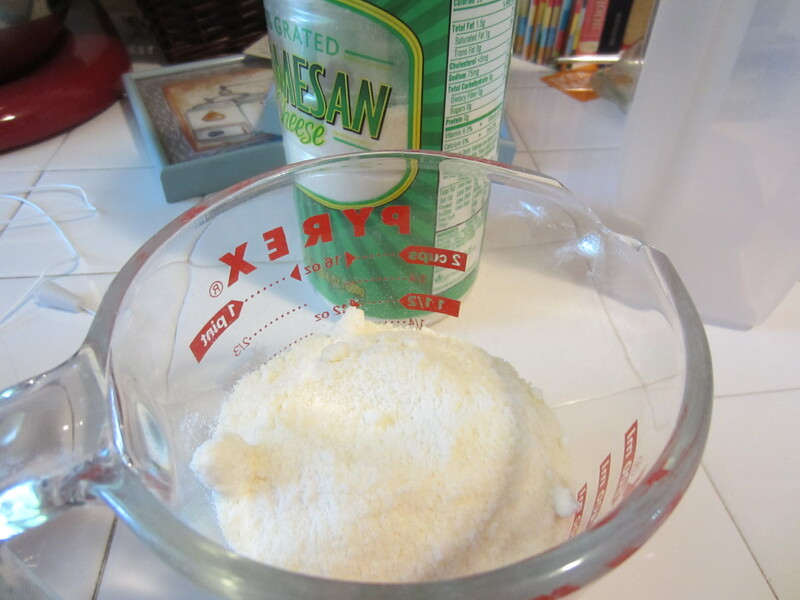 Cut chicken into 1-2 inch pieces. 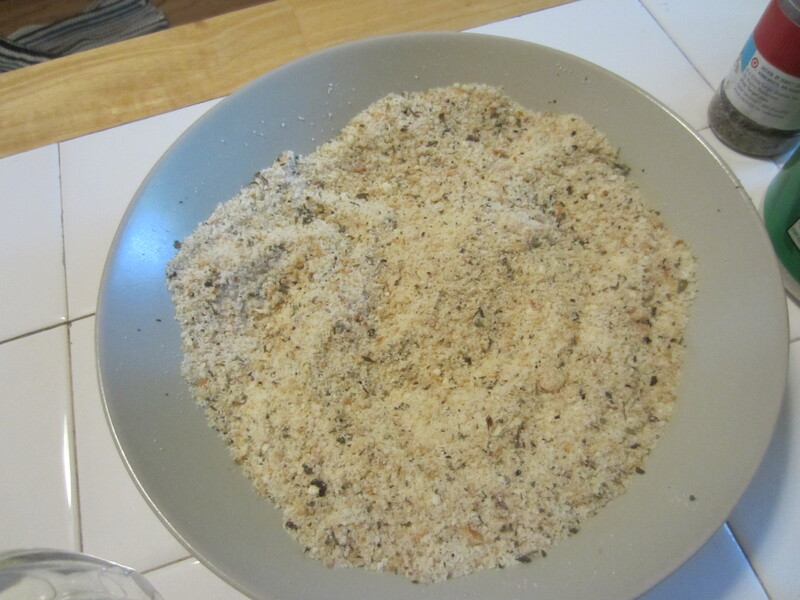 Dip chicken in butter, then bread crumbs and place on greased or foiled cookie sheet. 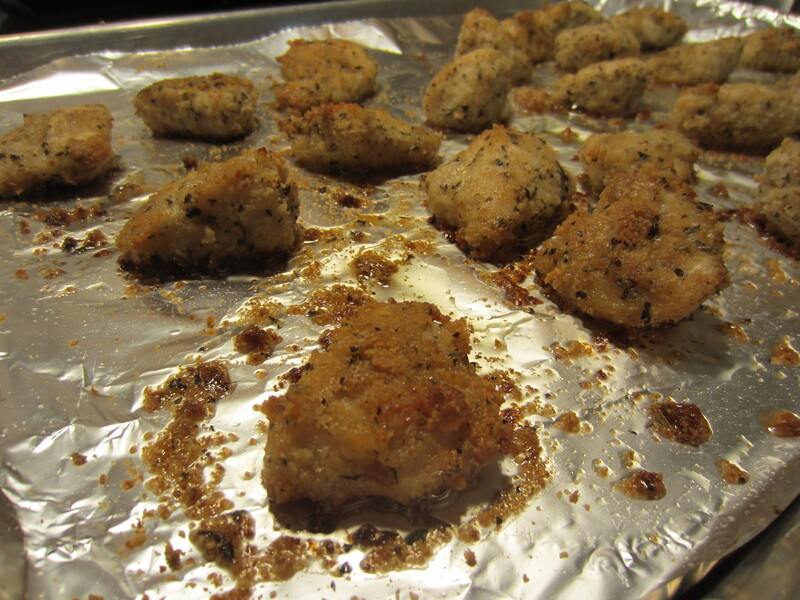 Turn nuggets, so the other side can bake for 10 more minutes or until golden brown. This made enough for one meal now and a freezer meal for later. If you freeze them just warm them in the oven for about 10 minutes when you want to eat them. Previous Post Journey to a Healthier Me: Is Dessert Okay?